Upon the trial of this cause the Plaintiff gave to the Jury evidence to to prove the facts stated in the foregoing Bill of exceptions and the defendant offered evidence gave evidence to prove that the Plaintiff was born in the Town of Alexandria County of Fairfax and Commonwealth of Virginia and not in the State of Maryland. 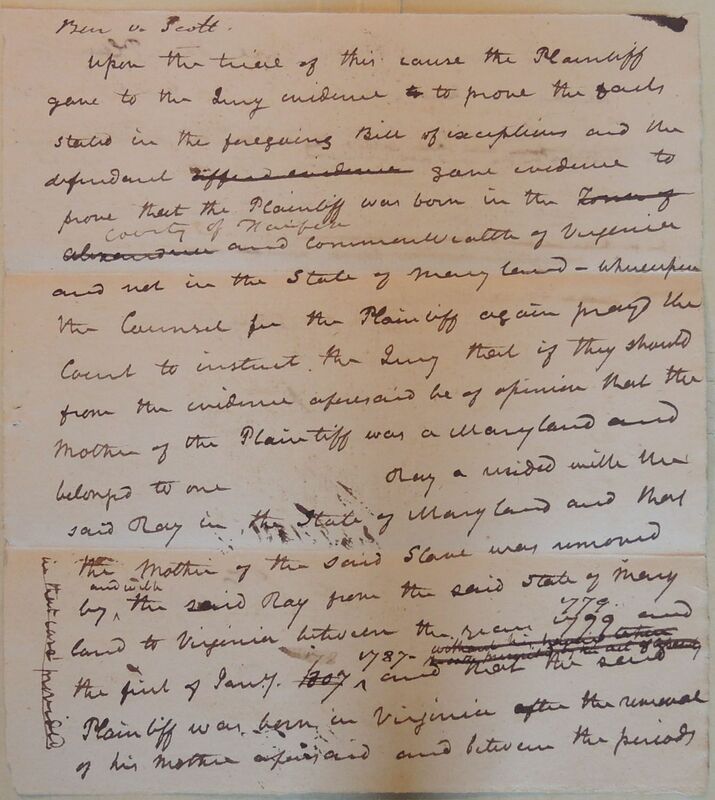 Whereupon the Counsel for the Plaintiff again prayd the Court to instruct the Jury that if they should from the evidence aforesaid be of opinion that the mother of the Plaintiff was a Maryland and belonged to on Ray a resided with the said Ray in the State of Maryland and that the Mother of the said slave was removed by and with the said Ray from the said state of Maryland to Virginia between the years 1779 and the first of Jany. 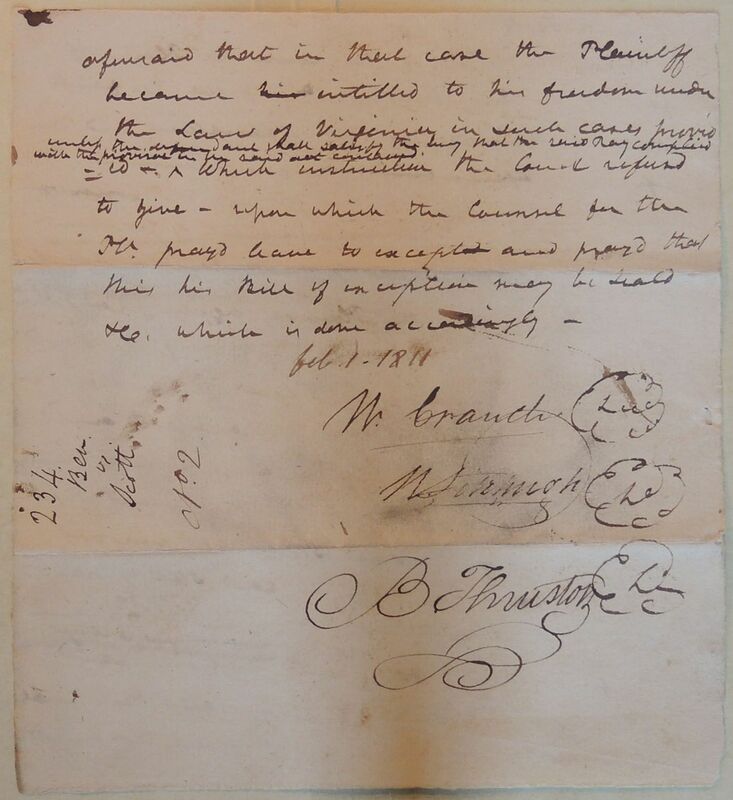 1807 1787. without his having taken the oath required by the act of assembly in that case provided and that the said Plaintiff was born in Virginia after the removal of his mother aforesaid and between the periods aforesaid that in that case the Plaintiff became his intitled to his freedom under the Laws of Virginia in such cases provided unless the defendant shall satisfy the Jury that the said Ray complied with the provision in the said act [illegible]. Which instructions the Court refused to give. Upon which the Counsel for the Plf. prayd leave to excepted and prayd that this his Bill of exceptions may be seald &c. which is done accordingly.